The brand Vincent + T.A.C. has its origins in Germany, the country famous worldwide for paying attention to quality and for the extreme care put into the manufacture of its products. It is still a common opinion that the buyer of a German product has to pay a price higher than for another comparable product. However he becomes the owner of an object which is going to work flawlessly for a long time because of its quality and reliability. 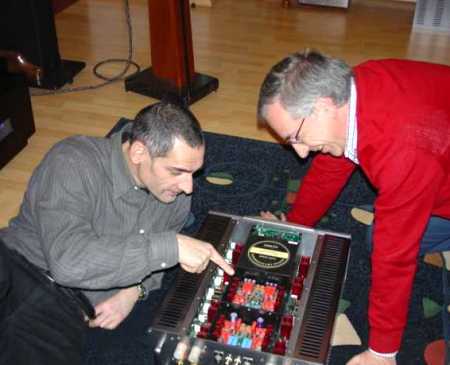 The SV-238 integrated amplifier tested here does its best to convince the prospective buyer that this common opinion is deserved, given its outstanding level of build quality and finish, its features and its flawless use. Perhaps surprisingly, its retail price - compared to the current market and given its technical specification - is quite competitive. This is certainly a merit of the commercial strategy of the brand. The design center is in Germany while manufacture takes place in China under the supervision and the control of the German headquarters. Despite the generous external dimensions, the Vincent SV-238 integrated amplifier appears imposing but definitely not clumsy. Undoubtedly the merit goes to the very well finished front panel, with smooth, curved, multi-chromatic surfaces and a big display showing all the information needed for the correct use of the equipment: input selected, balance, volume level, occurrence of protection intervention and even a polite "Welcome" whenever the amplifier is switched on. The lateral heat sinks are quite uncommon. They seem to be contained in an additional metal frame with several big openings used to dissipate all the heat generated (the amplifier is specified as functioning in A class up to 60W per channel with an 8 ohm load). 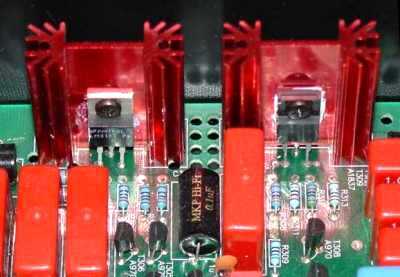 Therefore there is no risk of accidents caused by the sharp edges of the heat sinks. A glance at the rear panel is enough to be impressed by the quality of the two huge pairs of speaker binding posts. Furthermore there are six line inputs, five RCA and one XLR, as well as a double pair of pre-out sockets (both RCA and XLR). Finally, beside the IEC power supply socket, there is also a small switch to be used in case hum needs to be suppressed. As a last feature, the remote control allows access to all the controls of this amplifier. The Vincent SV-238 is able to gracefully match energy and harmony. A few minutes' warm-up are in fact enough to appreciate the musical qualities of this interesting amplifier designed in Germany and manufactured in China. Despite the threatening look, mostly due to its generous dimensions, the Vincent SV 238 shows an accurate sound and in a certain sense it is even gentle. This is mostly the merit of the middle-high range calmness, which does not excel in thickness and brightness but on the other hand does not show any lack in terms of accuracy and expressiveness. Merit is also due to the dynamic impact which is solid but nevertheless expressed without an overly emphasised feeling of speed. The result is a development of the musical plot that moves forward in a firm and authoritative way, but also sweet and persuasive, whose bulky bass, able to pay homage to the pipe organ of the young and virtuous talent Felix Hell (Organ Sensation, Reference Recording), is perfectly coupled to the delicate but accurate finishing of the higher range. The result is extremely enjoyable, with the imposing and virile male voices and the sweet and accurate female ones (More then a Song - Witness, Turtle Records). Wind instruments are protrayed very nicely, with full timbre and a fair dose of harmonic content. Jazz ensemble saxophones and trumpets (Bobby Watson - Post-Motown Bop, Blue Note Records), well supported by the remarkable reserve of energy that the Vincent is able to supply, are expressed with really remarkable power and impact. Thus the reproduced sound has a very enjoyable and involving sense of realism, thanks also to a dynamic performance expressed in a calibrated but firm way, maybe a bit sly, since it is more inclined to loud levels of listening rather than quiet, but certainly authoritative and effective. Loud volume levels do not seem to degrade the timbre of the integrated SV 238, since no meaningful variation is audible when switching from class A to AB, with a clear advantage for the tonal coherence expressed during the musical event. The virtual imagine does not show any weak points and it appears quite wide in its dimensions, however it tends to bring various elements nearer to the listener with the result that the closest ones are so consistent that give the feeling that they might be almost touched (Peter Cincotti, Concord Jazz). The physical feeling and the sense of realism are rewarded, at the cost of some loss in the depth of the scene. In a context where the air around the instruments seems valuable, the chiaroscuro are not extremely marked, and there is a feeling that the instruments' contours are quite shaded (Giovanni Angelieri - Orchestra delle Venezie, Velut Luna), however the remarkable qualities in terms of stability and the placing in focus of the different elements allow quite easy overall interpretation. It is not easy to find any complaint, the Vincent shows build features and musical performance of an overall good level, outstanding if we consider its retailing price. Its functional, it has always plenty of power available and its timbre character makes it easy to match with the speaker and with other electronic equipment. If one really has to find a complaint, it can be observed that the quality of the basic rubber feet is not outstanding. 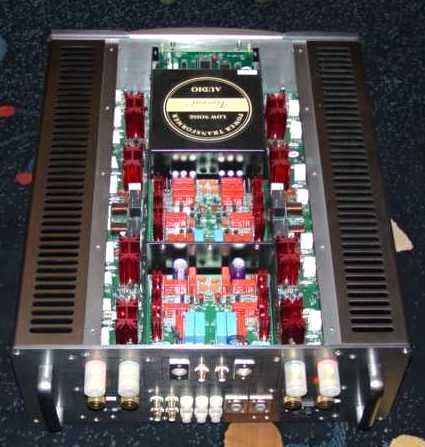 Though there are five of them (one foot is placed at the center), a very smart choice given the depth of this amplifier. In this way there are always at least three supporting points even when shelves are not very deep. About musicality, for my personal taste, I would have preferred a thicker and brighter high range with less of its "forward" effect. However, in such a way the sound would have been most probably different but not necessarily better. The formula "European design and Eastern production" seems quite successful in this case. 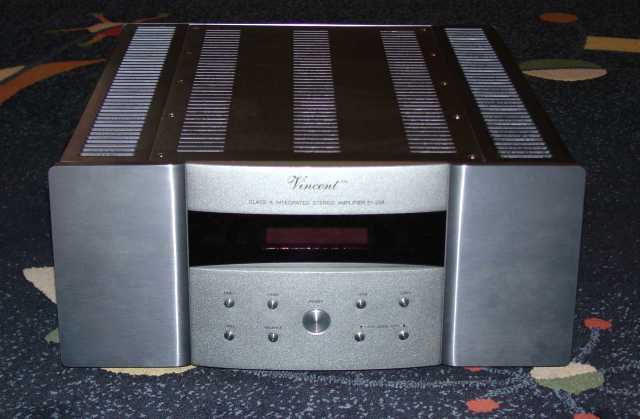 With the Vincent SV-238 integrated amplifier you won't regret not having a more expensive solution. It has more than enough power and remarkable driving capabilities which will allow matching even to speakers which are difficult to drive either because of load or efficiency, all this coupled with high level musical characteristics and quite a "universal" timbre. The quality level seems to be outstanding and the finish and components used, whilst not being very well known in the west, have had the opportunity to show their value during this test. Furthermore, the importer has given me the information that the quality of the models manufactured for the European and US market will be considerable higher than the models manufactured for the Eastern market. The circuitry layout will also be optimized in some sections. During this test it has been always compared to other more expensive equipment (even considerably more expensive) never being disappointing but rather surprising, especially when comparing the value for money. What else can we say? As of today, it is one of the most complete amplification systems of its kind and price class!